If you are passionate about the roads and enjoy driving, why not think about taking it up as a career? Driving professionally is not only fulfilling as a job but also pays well too; if you choose the vehicle you wish the drive professionally wisely. There are many options to choose from, you can choose to drive heavy good vehicles or large good vehicles, passenger carrying vehicles or towing vehicles too. The choice of the vehicle you would drive professionally would not only depend on your choice though since it would also depend on your age. 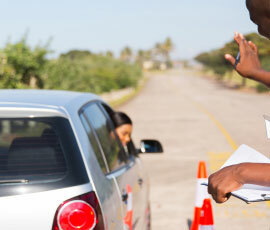 Juts make sure that the vehicle you choose to drive is legal and is also safe on the roads. If you wish to pursue driving as a profession, you should just visit us at Dhoot Driving School in Putney, London. 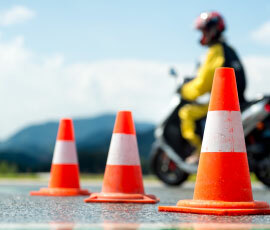 There are tailor made driving training programs that would help you in becoming a skilled professional driver. The training programs that we offer include PCV training, B + E car and trailer training, LGV (HGV) training and driver CPC training along with refresher training courses for experienced drivers who need to refresh or upgrade their skills. You can choose a training program based on your requirements. Regardless of the kind of training program you choose, you would surely get the best from us at Dhoot Driving School in Putney, London. There are many benefits of joining us for a driving training program. You would not have to worry about anything since we strive to give you a stress free learning environment. Our trainers are all experts in multiple languages hence you do not need to worry about language being a barrier since you would be instructed with a language that you know and understand. The trainers are also approved driving instructors and are registered with the driving standard agency or the DSA, you would learn from the best people in the industry. The vehicles we use at Dhoot Driving School are not only fitted with dual control systems but are also well maintained. There are absolutely no chances of any mishaps or accidents during your learning, whatsoever. The different training programs have further subcategories such that you can learn to drive the exact kind of vehicle that you want to and get a license for that. The different training programs are as discussed below along with the subcategories and the factors that would help you in deciding the subcategory that would be best suited for your needs. PCV training program – PCV stands for passenger carrying vehicles and hence as you can understand this training program would train you to drive a passenger carrying vehicle. The subcategories within this training program includes D1 minibus, D1 + E minibus & trailer, D automatic bus, D manual coach and D + E coach & trailer. The factors that would help you to choose a category for yourself would be firstly, your age, secondly, the number of passengers you would be transporting in your PCV and thirdly, the kind of PCV you would like to drive. There are two kind of PCV on is the manual equipped and another is automatic. For manual equipped you would need either a D1 minibus or D automatic bus and you can choose any of the others for driving automatic PCV. B + E car and trailer training – For driving towing vehicles, this is the training program you must undergo. There are just two categories in this training program, B license and B + E license. The factors for choosing a category includes you age and the weight you would be able to tow with the vehicle you would be driving. LGV (HGV) training – LGV stands for large good vehicle and HGV stands for heavy good vehicles. Hence if you want to drive these vehicles, enroll in this training program. The subcategories within this training program are C1 – license, C1 + E – license, C1 + E – 7.5t & trailer, C – up to 32 tons and C + E truck & trailer. The factors to help you decide are of course you age and the weight of goods you would be transporting, along with the kind of LGV or HGV you would be driving. CPC driver training – For driving professionally you would need to undergo this training that involves several driver CPC modules. But initially you would have to pass the practical driving test and the CPC theory test which is the driver CPC module 4 and 2. Module 2 includes the CPC case studies too. At Dhoot Driving School we also provide the cover of pass protection and PCV pass protection services such that you can appear for your driving test again if you fail for the first time. Hence join us today for a great driving training experience at Dhoot Driving School in Putney, London.